Harvey Howell Solicitors is a modern and professional law firm based in Liverpool. 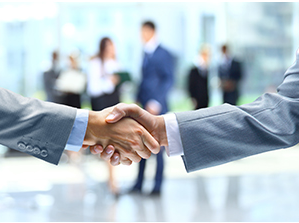 We have a team of qualified solicitors with extensive experience in the industry. Our specialist areas are in Private Client and Family work and we pride ourselves on providing a professional and dedicated service to meet your needs. Based in the North West, in addition to people like you, we are trusted advisors to police federations, hospitals, local and national charities and palliative care teams. Tony is a Solicitor of over 27 years standing and is a former partner at a Top 100 UK Law firm. He is a Fellow of the Royal Society of Arts, a member of the Chartered Institute of Arbitrators and a Senior UK University academic and lectures in the UK and internationally. He holds postgraduate degrees in ethics and law and is Chairman and Director of a number of companies, charities and not for profit organisations. Tony sits on the regulatory committee of Liverpool Law Society. John has been a practising solicitor for over 14 years specialising in Private Client work including Wills, Trusts and Probate. He has held positions in a number of Top UK Law firms and holds a Master’s Degree in Law. He has won prizes for academic grades. John is a trusted advisor to a number of major organisations including several police federations and national charities. Like Tony, John also sits on the regulatory committee of Liverpool Law Society. Gareth has worked in finance for over 12 years across different industries including local education and as part of the audit team at one of the largest accounting networks and associations. Specialising in business management and accounting Gareth is part of the executive management of a number of companies and federations and provides a range of financial services. Catherine graduated from the University of Liverpool in 2011 being awarded a First Class Honours degree in law. She has won a number of prizes including Alumni Awards for academic achievement. After completing her Legal Practice Course and training contract, Catherine qualified as a Solicitor in 2014 and now specialises in Private Client including Wills, Lasting Powers of Attorney and Probate. Questions about taking care of your future? Ask our experts.